There are lots of websites where you can link to your Instagram account (and other social media) and select and drag photos from your feed to print into a poster. I used Poster Candy for this one, its 40x50cm, costs $39 and contains 30 photos. It was a really easy system to use, postage was super fast and the packaging had candies inside. Win! I can’t take credit for these beauties, my very thoughtful friend Kate crafted these herself! 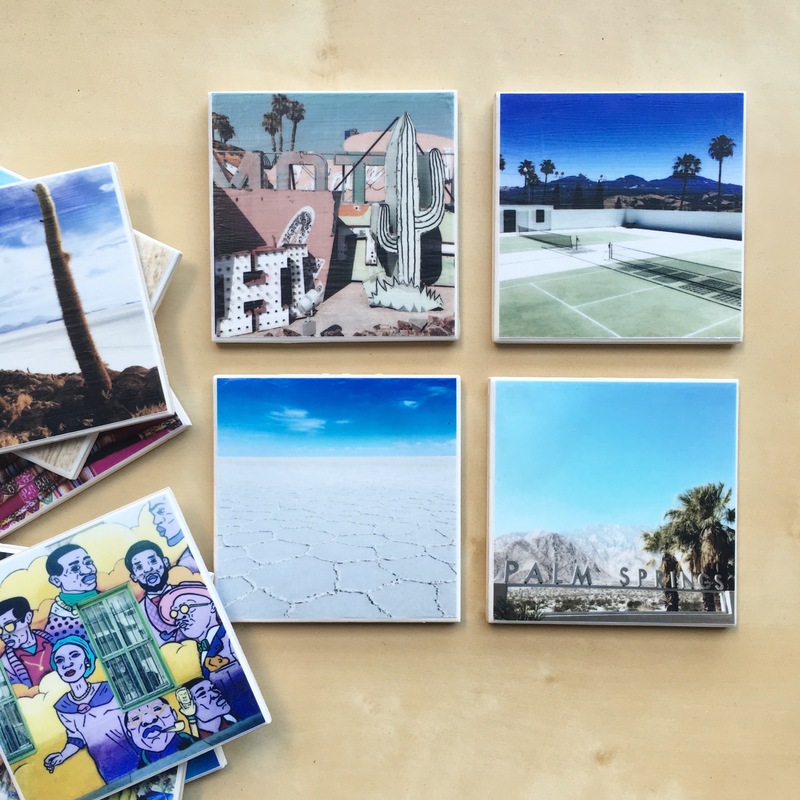 She printed my photos, attached them to tiles before lacquering over the top. One of the most lovely Christmas presents I’ve ever received. If you Google ‘photo coasters’ plenty of printing options come up. 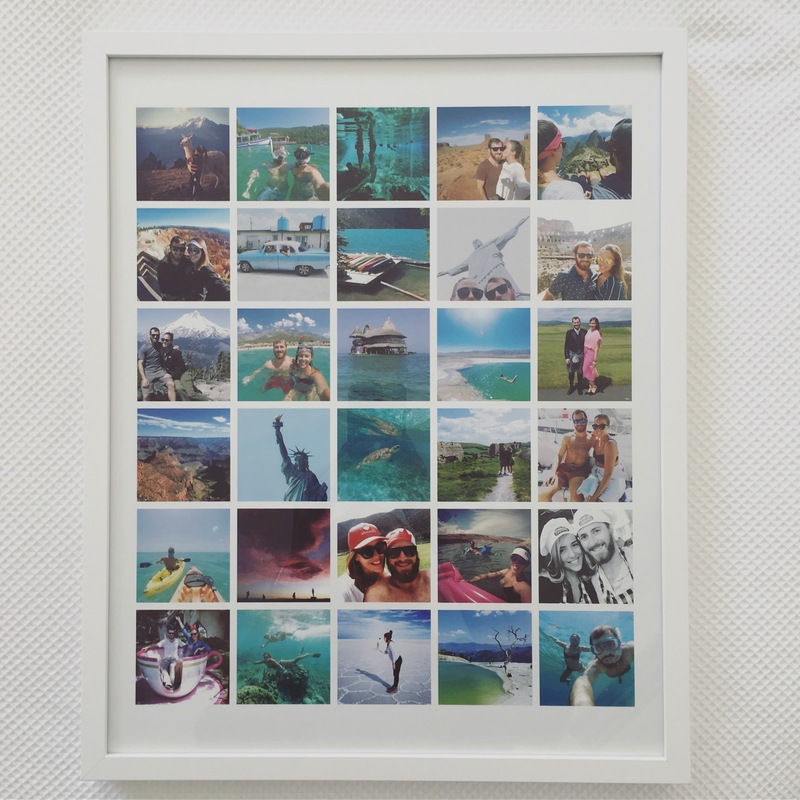 Do you ever get around to printing your travel snaps? This entry was posted in Travel and tagged Photography, Photos, Travel. Bookmark the permalink. My plan after our first European trip was to scrapbook all of our photos, because staying home on weekends to scrapbook would help us save money for our next trip… yeah right! Oh I LOVE the instagram photo collage photo! What a fun way to print out and display a bunch of photos at once. The hardest part of printing photos to frame is choosing which ones to print! I love that Instagram Photo Collage – what a cool way to show off all those pictures! I’m so guilty of taking gorgeous pictures on my travels and then leaving them on the hard drive! Thanks for the tip!